How to convert word to 3D page flip book? Q:How to convert word to 3D page flip book? Here I would introduce how to convert word to 3D page flip book. Since word is practical office software in our daily life, we can use it to do more for ourselves. For example, you can design an magazine in a word file, then convert it to a page flip book, which is more real-book like with 3D page turning effect. Word is very convenient to edit. So, use it to make flipbook through 3D flip book software is a good choice. Step1: Install 3D PageFlip for Office and launch it. Step2: Click Import Office in the Home panel to enter Import interface. 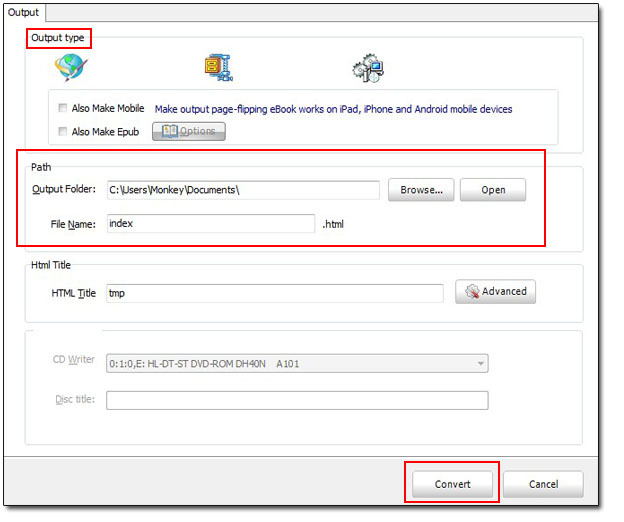 Step3: Choose word document from computer and define the import page. Then the word document will become a basic 3D eBook. Step4: Design tool bar color, button, background music and more for the 3D eBook. Step5: Publish the 3D page flip book.